Take a walk to our scenic lookout or take a contemplative walk in our meditation labyrinth. Spend time recharging in nature and natural forest. Visit our boutique and store which sells yoga books, CDs, snacks, yoga clothing, and yoga accessories. This well-balanced program integrates the 5 points of yoga in daily life, bringing participants in tune with the rhythms of nature and of our body. By following the daily schedule we tap into our natural resources of energy, joy, and health. Visit yourself and experience the complete benefits of yoga life. Your newly learned and practiced yoga and meditation skills can help to improve your physical and mental health for a long time to come. For further experience, we offer many foundational yoga courses and events all year round in addition to the basic yoga vacation program. These programs include special courses, festivals, concerts and symposiums, available for an extra tuition cost. Please check our calendar to see the monthly events. The Yoga Resort and Training Center is an inspiring community where people from all walks of life come together to practice yoga All have different skills to offer and work together with love and dedication to build up a rich, heartfelt environment. In order to feel a part of this dynamic community, we offer to guests the opportunity to assist in some daily tasks for 1 hour a day. The guests are invited to help cleaning, gardening, kitchen, in the beautification of buildings and the general upkeep. Karma Yoga (selfless service) is an integral part of the richness of your yoga vacation. Karma yoga opens the heart and removes the feeling of isolation that comes from the ego. It is a practical path of yoga to find connection. The residential program is a one month full immersion inYoga life. The integrated practice of yoga is the most important thing one can do for our health and well-being. You will live in the Resort during the program, participating in all programs and classes. Experience the Yogic lifestyle through a daily schedule of meditation, physical exercise, devotional practices, philosophical study and selfless service. Karma Yoga service will be for one hour per day. The Nature, the Prana (Energy), the Staff and the Knowledge available here cannot be described in words as words have too little power to convey the whole. This is where one has to come and to experience to believe that such a great place does actually exist. 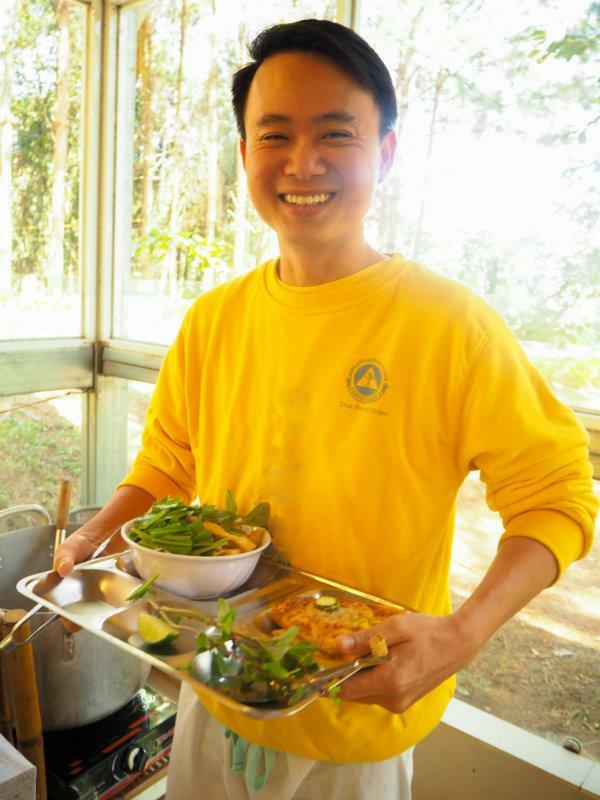 I went to the Sivananda Ashram in Dalat with the intention to cement my meditation practice. What I got was a lot more. With the help from the staff I discovered an inclination for selfless service and attained tools to be affirmative with my mind. I learned about how the mind works, how I work and got deeper into my yoga practice. After a week, I decided to go back. The food is delicious, the space is amazing, the people are amazing. Peaceful and beautiful place, with real yogi life My experience was fantastic. I was able to learn a lot about theory, meditation and Asana practice. People were very kind, helpful and keen to share knowledge. 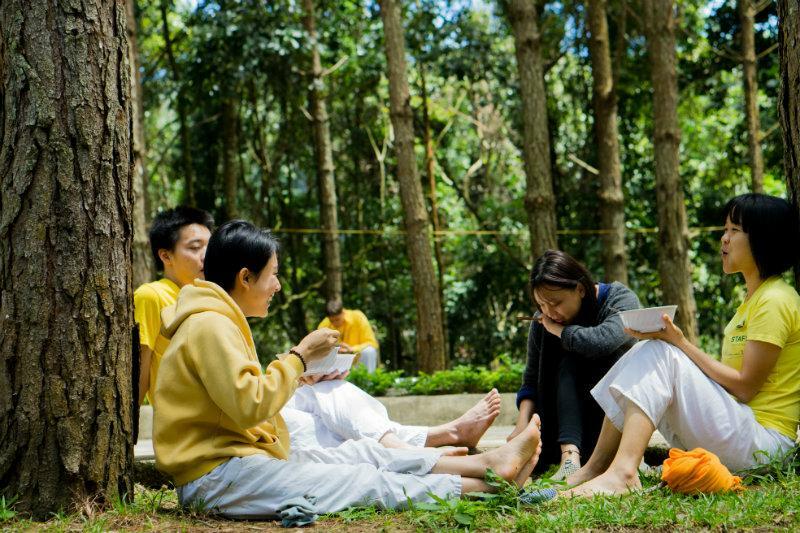 The training center is located in a gorgeous area in the mountains of Da Lat. The food was also great. I can’t wait to come back and my daily life has changed with the new things I learnt there. The Sivananda Yoga Resort and Training Center team welcomes you whether you are new to yoga or new to the Sivananda Tradition. 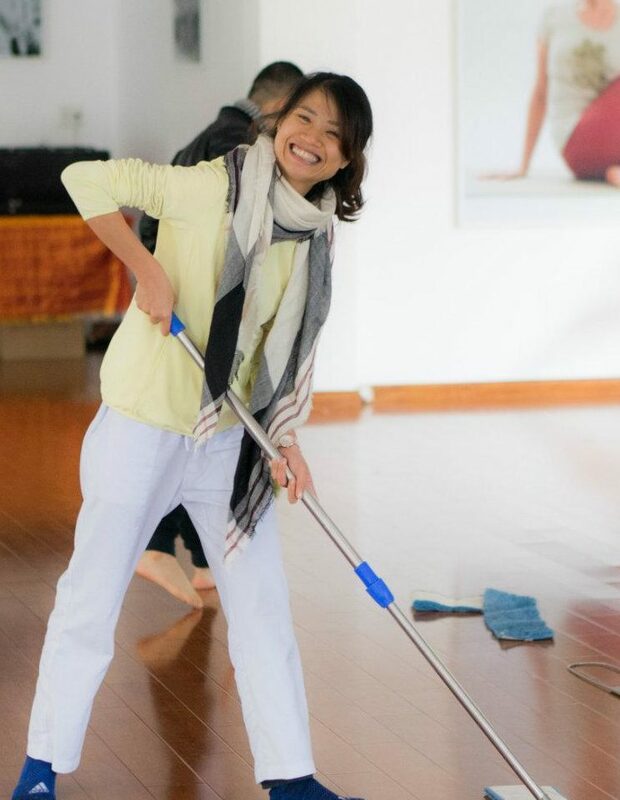 Our staff are graduates of the Sivananda Yoga Teacher Training Course and besides teaching yoga they participate in every aspect of the running of the community.